How about a water bottle to keep hydrated? This Bobble water bottle has a built in filter so can be filled up from the tap. The filter is built in to the drinking spout so they can change the look of the bottle just by replacing the filter, and it will also help the environment by cutting down on bottled water purchases. These wireless bluetooth earphones would be perfect to use during exercise, no wires to get tangled up or in the way. A running belt is great for running when you need to have your keys and phone with you, and let’s face it, most gymwear is not designed to store personal items. If you know someone who swims or uses the showers at the gym, why not treat them to a microfibre towel ? This one is lightweight, absorbant and dries quickly. Most people take a bag to the gym right? A new gym bag would be a nice gift, and this one is great as it has a little compartment to pop their trainers in. It also comes in a variety of colours. Finally, for those who are really into their fitness, the best gift I can suggest is a Fitbit. 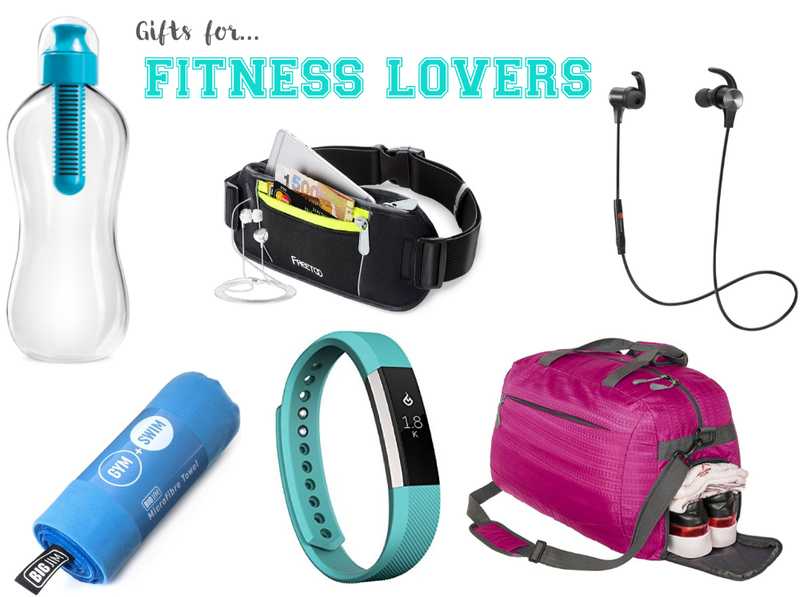 They are a bit of a splurge so if you’re looking for a more special gift, then I would suggest the Fitbit Alta as it’s compact and comes in different colours so you can be sure to find one that suits.